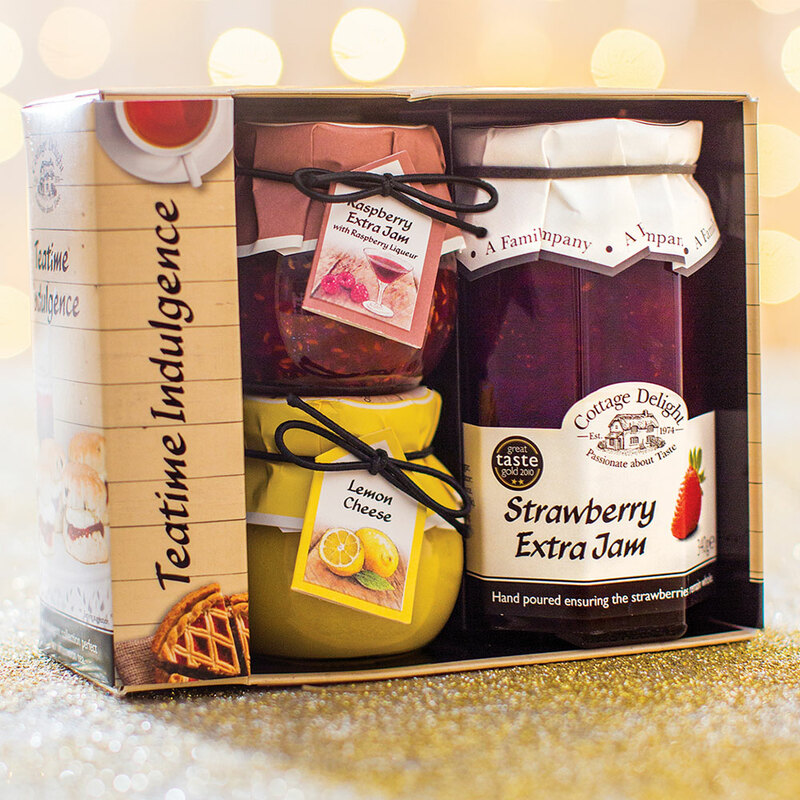 Cottage Delight's Teatime Indulgence Christmas gift set is an indulgent collection perfect for Afternoon Tea. This gift pack make a great affordable gift and is also ideal for stocking fillers too. Including: Strawberry Extra Jam 340g, Lemon Cheese 113g and Raspberry Extra Jam with Raspberry Liqueur 113g. Allergens: Milk and Egg.